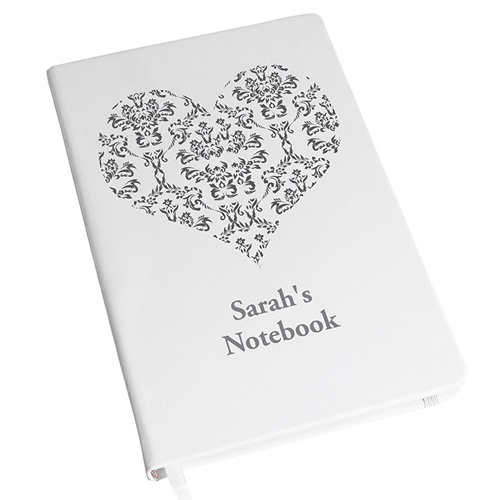 Personalise this Damask Heart Hardback A5 Notebook with two lines, 20 characters per line. 96 double sided lined pages and a page marker. Personalise with two lines, 20 characters per line.